What good is a garden without a nice place to look at it? This unique patio design solves this problem with style. A circular patio rests in the center of the garden providing a great view of the lush greenery. 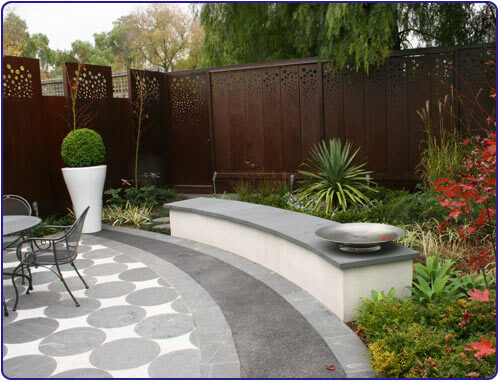 The patio’s geometric pattern makes it almost as eye-catching as the garden.